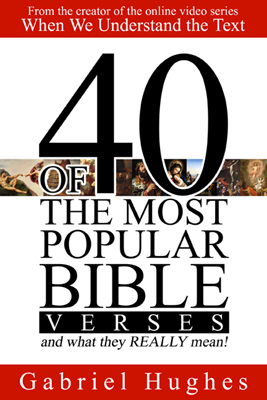 Pastor Gabriel Hughes has released a new book, 40 of the Most Popular Bible Verses (and What They Really Mean!). Many of the Bible verses we think we know, we don't. This book highlights 40 of the most popular verses in order to teach the reader about context and how to use scripture to interpret scripture. You can purchase the book by clicking here. For answers to many Bible questions, be sure to check out our online video series When We Understand the Text. Most of the videos are only 90-seconds long, covering a wide range of topics. You can find a link to the WWUTT website over on the right. 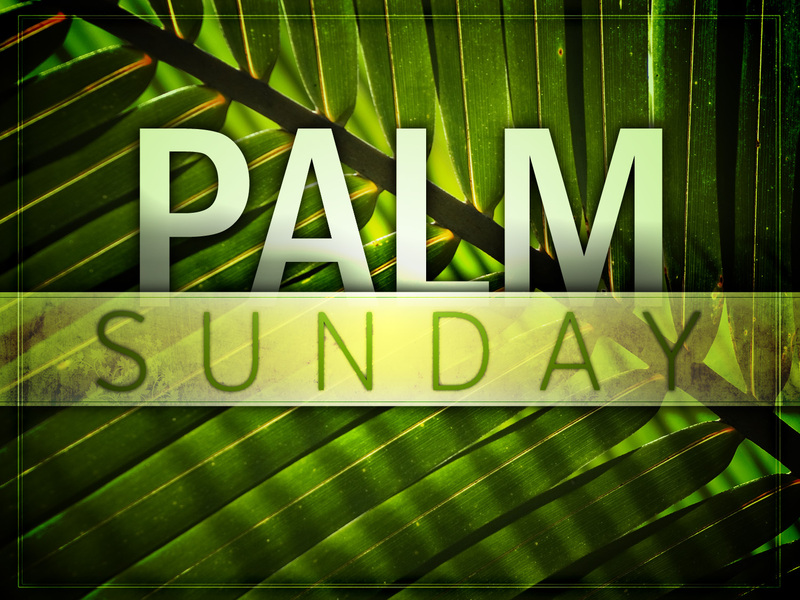 Welcome to Palm Sunday! We're starting off Holy Week with a sermon this morning from Luke 19:28-40. The story of Jesus' Triumphal Entry into Jerusalem continues our series through the Gospel Project, wrapping up next week with an Easter Sunday message. We'll also be partaking in the Lord's Supper this morning. Prepare your hearts as we come to the table, remembering the sacrifice of Christ as we eat the bread symbolizing his body, and the cup of the new covenant. All are welcome! Welcome to the first weekend of spring! Complete with some beautiful weather. We hope you'll join us at church this Sunday as we'll be looking at the story of the widow's offering found in Luke 21:1-4. We're continuing through a series that coincides with The Gospel Project. What the kids are learning about in Sunday school (from 9:45 to 10:45) is also what we're studying in our sermons, encouraging family discussion of the scriptures. Deuteronomy 6:6-9 reads, "And these words that I command you today shall be on your heart. You shall teach them diligently to your children, and shall talk of them when you sit in your house, and when you walk by the way, and when you lie down, and when you rise. You shall bind them as a sign on your hand, and they shall be as frontlets between your eyes. You shall write them on the doorposts of your house and on your gates." 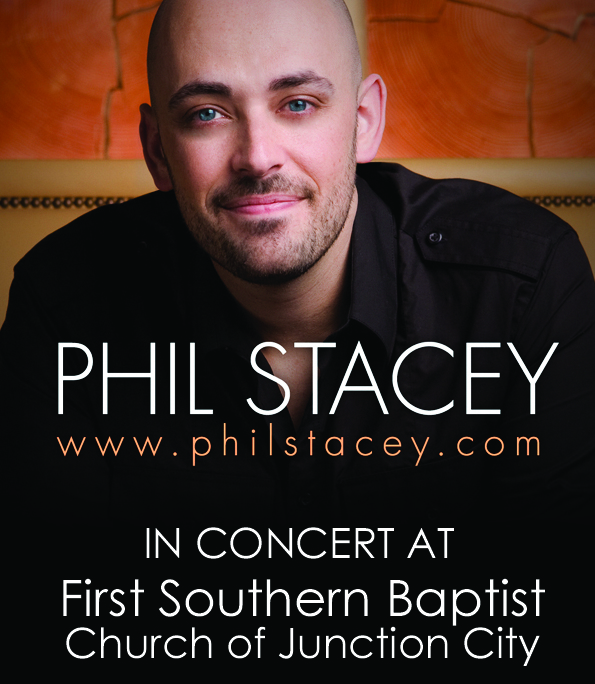 Tonight, Friday, March 20, Phil Stacey will be in concert at First Southern Baptist Church at 7:00pm. The concert is free! Bring some friends or the whole family. We'll have the room. It'll be a great night of worship and some good Christian music. A love offering will be taken. A Kansas resident, Phil Stacey is a former contestant on American Idol (Season 6). He was later signed with Reunion Records and has traveled with Michael W. Smith and many others. He's been a country music singer, and is presently a worship leader in Lenexa, KS. This morning, we started a 6-week series that coincides with The Gospel Project, leading us up to Easter Sunday. All of our sermons from now until then will go with the lessons the kids are learning in Sunday school. Today's lesson came from Mark 10:17-31 and the story of the Rich Young Ruler. Listen to the sermon below, or download it to listen to later!